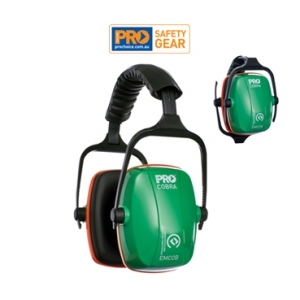 The general purpose Cobra Earmuffs provide comfort during extended wear. These high quality ear cushions have a convenient fold away construction and hearing protection for noise levels to 110dB(A). The low clamping force applies minimum pressure while maintaining a tight, snug seal.